“Backcountry” is a designation given to the area north of Merritt Parkway in Greenwich, Connecticut. The Backcountry has a very rural feel with its vast open spaces lovingly preserved through the efforts of the Greenwich Land Trust and other concerned conservation organizations. Rivers, ponds, and lakes are features in this bucolic landscape along with lush woodlands, meadows, winding country roads, and glacial gorges dramatically carved into the landscape. Most of the town’s golf courses area in this area as are parks including the Audubon property with its headquarters and study center. The Greenwich Polo Club, which host seasonal world-class polo matches, is located at nearby Conyers Farm. 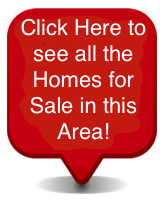 Most of the land in the area has been subdivided into 4 acre plots with the exception of Conyers Farm which has a self imposed 10-acre minimum to accommodate equestrian interests. Backcountry is a serene area not more than 35 minutes from Manhattan. Greenwich is in Fairfield County, Connecticut. 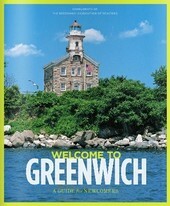 Greenwich is the southwesternmost municipality in the state. This beautiful area of Connecticut, lovingly referred to as the “Gateway to New England”, experienced a metamorphosis in the twentieth century when it transformed itself from a rural farming and fishing community to a sophisticated suburban area. Greenwich had a population of 61,171 residents at the time of the 2010 census. Greenwich is home to businessman and their families seeking a peaceful life in a rural setting and is a bedroom community for New Yorkers. Some neighborhoods in Greenwich are: Old Greenwich, Cos Cob, Riverside, Pemberwick, Belle Haven, and Byram. Greenwich has a total area of 67 square miles with almost 48 square miles being land and a little more than 19 square miles than water. The Backcountry has been home to many celebrities and those who’ve been highly successful in the world of finance and business. Those seeking privacy gravitate to the Backcountry as opposed to the more public waterfront areas. Winding roads with gated entrances, often adjacent to conservation areas, make Backcountry ideal when privacy is a must. Homes in Backcountry area almost exclusively single-family homes. The average listing price for a home in Greenwich is approximately $4,226,511 but prices can reach $49,895,000 for luxury mega-mansions with amenities such as a wood-paneled libraries, chef's kitchens, lighted tennis courts, resort-style heated pools, separate guest cottages, his & her dressing rooms, wine tasting cellars and the list goes on and on. The average listing price for a condominium in Greenwich is $1,499,981 and can go up in price to $4.995,000. Contact us today with any questions or to schedule a private showing of any of our properties in the Backcountry of Greenwich or any neighboring village.